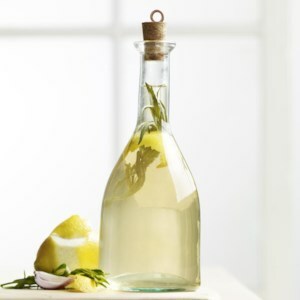 Try these infused vinegar recipes drizzled over vegetables or combine with olive oil to make quick salad dressings. 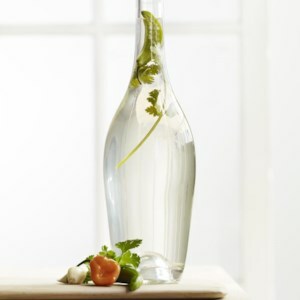 The recipes make enough vinegar to decant into a decorative bottle or two to give away as simple homemade gifts. 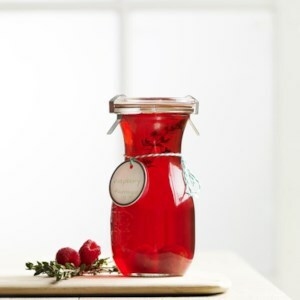 This beautiful raspberry- and thyme-infused vinegar works well in vinaigrettes. Combine with walnut oil and a pinch of salt and toss with baby spinach and goat cheese for a quick salad. Or stir into a little bit of raspberry preserves and use as a glaze for pork tenderloin. The recipe makes enough vinegar so you'll have extra to decant into a decorative bottle or two to give away as a simple homemade gift. Try this vinegar infused with onion, celery and pickling spice as a quick seasoning for steamed potatoes or roasted cauliflower or combine with an equal portion of olive oil and use as a marinade for steamed beets. The recipe makes enough vinegar so you'll have extra to decant into a decorative bottle or two to give away as a simple homemade gift. 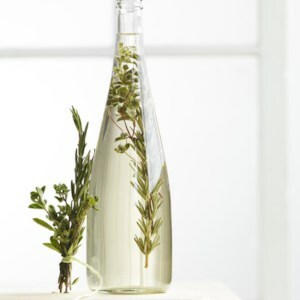 Try this oregano-, rosemary-and marjoram-infused vinegar drizzled over tomatoes and fresh mozzarella or combine with olive oil and a little Dijon mustard to make a quick dressing for pasta salad. The recipe makes enough vinegar so you'll have extra to decant into a decorative bottle or two to give away as a simple homemade gift. 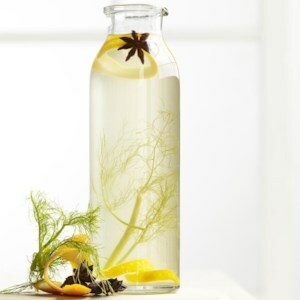 Try this vinegar infused with fennel, orange and star anise in Asian-inspired dishes. Combine with soy sauce, chopped scallions, ginger and a pinch of sugar and use it as a sauce for a chicken-broccoli stir-fry. Or try it drizzled over hot-and-sour soup. The recipe makes enough vinegar so you'll have extra to decant into a decorative bottle or two to give away as a simple homemade gift. Stir this chile-, cilantro- and garlic-infused vinegar into a mixture of chopped fresh tomatoes, onions and fresh cilantro for an instant salsa. Or combine with an equal portion of canola oil and a generous pinch of salt and use as a marinade for steak or chicken. The recipe makes enough vinegar so you'll have extra to decant into a decorative bottle or two to give away as a simple homemade gift. Toss fresh strawberries with this strawberry vinegar and serve over vanilla frozen yogurt for a summer treat. Japanese rice-wine vinegar is preferred for its delicate flavor. Serve with spring rolls or tossed in a grain and vegetable salad.